[PDF] The Human Central Nervous System: A Synopsis and Atlas (4th edition) | Free eBooks Download - EBOOKEE! 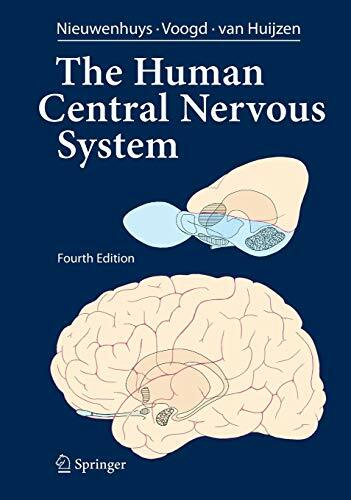 Description: The present edition of The Human Central Nervous System differs considerably from its predecessors. In previous editions, the text was essentially confined to a section dealing with the various functional systems of the brain. This section, which has been rewritten and updated, is now preceded by 15 newly written chapters, which introduce the pictorial material of the gross anatomy, the blood vessels and meninges and the microstructure of its various parts and deal with the development, topography and functional anatomy of the spinal cord, the brain stem and the cerebellum, the diencephalon and the telencephalon. Great pains have been taken to cover the most recent concepts and data. As suggested by the front cover, there is a focus on the evolutionary development of the human brain. Throughout the text numerous correlations with neuropathology and clinical n- rology have been made. After much thought, we decided to replace the full Latin terminology, cherished in all previous editions, with English and Anglicized Latin terms. It has been an emotional farewell from beautiful terms such as decussatio hipposideriformis W- nekinkii and pontes grisei caudatolenticulares. Not only the text, but also the p- torial material has been extended and brought into harmony with the present state of knowledge. More than 230 new illustrations have been added and many others have been revised. The number of macroscopical sections through the brain has been extended considerably. Together, these illustrations now comprise a complete and convenient atlas for interpreting neuroimaging studies. No comments for "[PDF] The Human Central Nervous System: A Synopsis and Atlas (4th edition)".